Open to the public from 11:00 am to 4:00 on June 29, 2019, admission to the flower show is free of charge. It will be held at Parrish Memorial Hall, 235 Herrick Road, Southampton, NY 11968. A highlight of the show will be a lecture and luncheon to be held at the Meadow Club, 555 First Neck Lane, at 12:30 PM. The lecture will feature Debbie Moler, Manager of Horticultural Services at Disney World in Orlando, who will speak on ‘Disney’s Artful Gardens’. Reservations are $125 per person and can be ordered by clicking here. A pioneer of the American animation industry, Walter Elias Disney was an entrepreneur, animator, voice actor and film producer. He holds the record for most Academy Awards earned by an individual, having won 22 Oscars from 59 nominations. In total, Disney and his subsequent film affiliate companies and distributors have released over 700 movies. In the 1950’s, Disney expanded into the amusement park industry, opening Disneyland in California in 1955. Though dying before realizing his dream at DisneyWorld in Florida, he remains an American cultural icon. 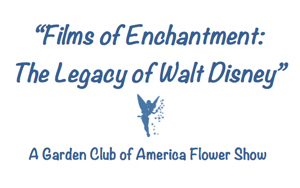 Each of the 5 divisions of the flower show draws inspiration from the titles of his full-length animated movies – and each class includes a short description of the movie as it relates to the class. 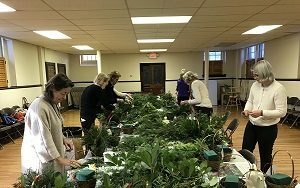 Some classes also include a definition from the GCA Flower Show & Judging Guide, 2018 as appropriate to aid the exhibitors. 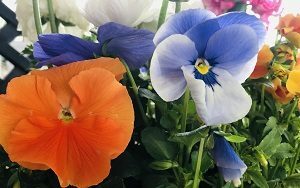 The purpose of a flower show is threefold: to set standards of artistic and horticultural excellence; to broaden knowledge of horticulture, floral design, conservation, photography and other related areas; and to share the beauty of a show with fellow club members and with the public. The purpose of The Garden Club of America is to: stimulate the knowledge and love of gardening; to share the advantage of association by means of educational meetings, conferences, correspondence and publications; and to restore, improve and protect the quality of the environment through educational programs and action in the fields of conservation and civic improvement. Copyright Southampton Garden Club, 2018 - 2019. | All Rights Reserved.